Personalize your account by adding a profile picture. There are 2 ways to upload a profile photo so it will appear in an Activity detail and in place of the standard green user icon in the Profile & Settings area. We recommend using a .jpg that is at least 150x150 pixels but no larger than 500 pixels wide. From the Profile & Settings Icon, select My Account. 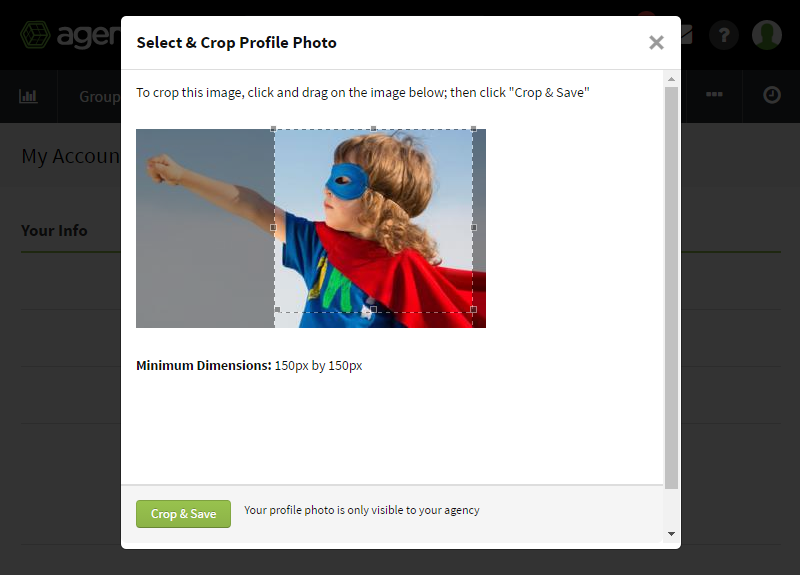 Select the green user image, then choose a photo to upload. Crop and save your image. Now, your image will show in place of the profile & settings icon and on activity threads where you post. You can always change or remove your photo. Add your photo right from an activity detail by clicking the green user image.